KARACHI: The value added sector has urged Finance Minister Asad Umar to allow tax credit on equity investment for business individuals and Association of Persons (AOPs). 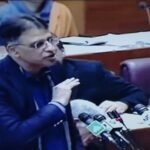 In a letter sent to Finance Minister Asad Umar on Saturday, Pakistan Hosiery Manufactures and Exporters Association (PHMA) said that the the government through Finance Act 2010 passed amendment in the Income Tax Ordinance 2001, related to Tax Credit for Investment in Industrial Undertaking under Section 65B. The section has been introduced to encourage companies for investment in balancing, modernization and replacement of the already installed plant and machinery in an industrial undertaking set up in Pakistan. The provision provides 10 percent rebate in income tax payable for the tax year in which such plant and machinery is installed, shall be admissible if such investment is made in the purchase and installation of plant and machinery at any time between the 1st day of July, 2010 and the 30th day of June, 2015. In the Finance Act 2018, the said tax credit under section 65B the cut-off date has been extended to 30-06-2021. Muhammad Jawed Bilwani, Central Chairman, PHMA & Chairman, Pakistan Apparel Forum point out that under the prevailing laws of Pakistan and according to the Article 18 “Freedom of Trade, Business or Profession” of the Constitution of the Islamic Republic of Pakistan, every citizen shall have the right to enter into lawful trade or business. Consequently, the businesspersons in Pakistan engage into legal business by registering with the concerned authorities as Proprietor/ Business Individual, Association of Persons (AOP) (under Partnership Act 1932 and Limited Liability Partnership Act 2017) or with formation of a Company under Companies Act 2017 (previously Companies Ordinance 1984) with SECP. He further said that there exists no legal restriction to Pakistani citizens to enter into businesses for any specific law and in order to avoid discrimination in the subject case. The association urged the finance minister to bring necessary amendments in the Income Tax Ordinance 2001 under section 65B to include “Proprietorship/ Business Individual” as well as “Association of Persons (AOPs)” at par with “Company” to provide equal playing field to avail tax credit for equity investment.